A Division Bench of the Supreme Court on Friday imposed costs of Rs. 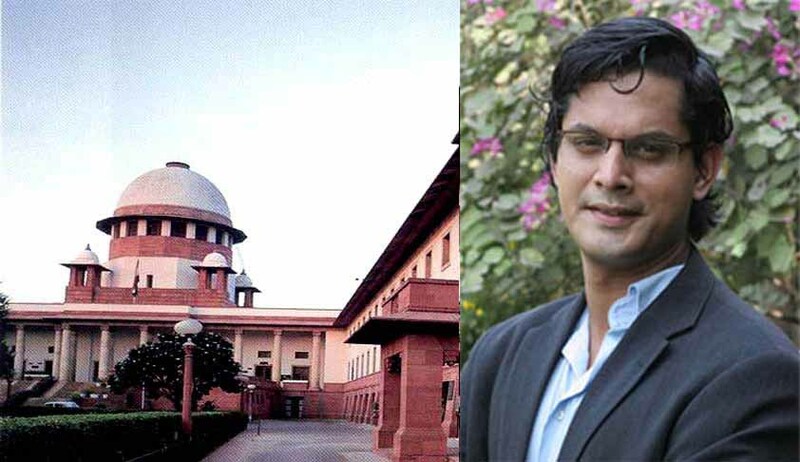 25,000 on the Bar Council of India, for failing to respond to Prof. Shamnad Basheer’s petition demanding a permanent body for conducting the Common Law Admission Test (CLAT). Imposing the amount to be deposited as costs in the Supreme Court Advocates on Record Welfare Trust, the Bench comprising Chief Justice T.S. Thakur and Justice A.M. Khanwilkar granted four weeks’ time to the respondents to file their responses. Advocate Liz Mathew who appeared for Prof. Basheer told the Bench that the Bar Council of India has not filed counter affidavit despite last opportunity granted for the purpose. Mr. A.K. Prasad counsel appearing on behalf of BCI prayed for four weeks' further time for filing counter affidavit. The Bench has granted time subject to payment of Rs.25,000/- (rupees twenty five thousand) to be deposited as costs in the Supreme Court Advocates on Record Welfare Trust. Sources close to BCI indicate that the regulatory body is planning to launch an All India Entrance Examination for law aspirants to secure admissions to the all Law Colleges in the country, including the National Law Schools. The Court had issued notices to the Centre, Bar Council of India and Rajiv Gandhi National University of Law Patiala in September last year, on the PIL seeking immediate intervention of the Court against the opaque and inefficient implementation of CLAT that is held every year for the purpose of admissions to graduate and Post-graduate programs in the discipline of law offered at the premier National Law Universities (NLUs) in India. Prof. Basheer has also alleged that “the paper setters have also been accused of extensive plagiarism.” He quoted an article from leading IP Law blog SpicyIP, to the effect that due to such extensive plagiarism, the CLAT paper setters may even be guilty of copyright infringement. The Common Law Admission Test (CLAT) was instituted pursuant to the signing of a Memorandum of Understanding in 2007 by the Vice-Chancellors of the first seven NLUs to be established, that is, NLSIU, NALSAR, NLIU, WBNUJS, NLUJ, HNLU and GNLU, which in turn was pursuant to the orders of the Supreme Court in Varun Bhagat v Union of India and Others, W.P. No. 68 of 2006, decided on 23.11.2007. The CLAT was envisaged as a single entrance examination for all the participating NLU’s and students were to be admitted based on scores obtained in this test. The test was agreed to be held each year by different NLU’s (in rotation), based on their year of institution. Further, the overall supervision and policy making of CLAT was to lie with the ‘Core-Committee’ (‘CLAT-CC’), comprising Vice-Chancellors of all participating NLU’s. On 01.11.2014, a total of 16 NLUs entered into a fresh Memorandum of Understanding (‘2014 MoU’) in supersession of the previous 2007 MOU. Apart from the original seven parties to the 2007 MoU, this new MoU was signed by RMLNLU, RGNUL, CNLU, NUALS, NLUO, NUSRL, NLUJAA, DSNLU and TNNLS.